Scott Coates founded Coates Electrical & Instrumentation Inc. in 1994 after spending nearly 25 years at Great Salt Lake Mineral as the Electrical and Mechanical Maintenance Engineer. Scott believed that the electrical industry needed a construction company that focused on reliability and maintainability after the construction phase was complete. What he has built is just such a company. Coates E & I's success can be attributed to Scott's "We can do anything with nothing" attitude and commitment to "Never Quit". Project upon project has been completed with Coates' ability to overcome tasks and supply customers with plant's that sustain their earning capacities long after the construction is complete. Scott believes that you must have a highly trained and skilled staff, which are cross trained not just as electricians but as technicians. With this highly skilled workforce, Coates E & I is currently raising the expectations of customers across the Electrical, Instrumentation and Automation fields. Scott has attained many accomplishments over his career among them are: Master Electrician multi state, Level III Certified Control Systems Technician, By the ISA, Who's Who in US Executives, Mayor of Washington Terrace, Bishop in the LDS Church, Husband and Father of Three. Scott enjoys his family work, playing guitar, work, grandkids, work, vintage cars, and mostly work. Jason Coates is a founding member of Coates Electrical & Instrumentation Inc. Jason's eagerness to learn and apply any of the skills he has attained from Scott and so many other talented professionals shows in his everyday approach to problem solving. Jason has enjoyed many successes in his history at Coates E & I, he began as an apprentice electrician in 1994 digging ditches. 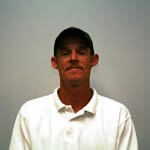 In 1996, he attained his Residential Journeyman License and began working on a residential strategy for the business. In 1998, he obtained his Journeyman Electrician License and began project management on government sites for chemical weapon demilitarization. By 2000, Coates E & I promoted Jason to Industrial Superintendent and added Project Managers to handle growth. In 2003, Jason attained his Master Electrician License and was later named VP of Operations overseeing all of Coates E & I's day to day construction activities. In 2006, Jason achieved his CAP (Certified Automation Professional) by the ISA and later that year was named President of Coates Electrical & Instrumentation. Jason hopes to continue in the success of his father and further the capabilities of Coates E & I in the future. Shawn Lueders is a founding member of Coates Electrical & Instrumentation Inc. Shawn's �Can Do� attitude has been invaluable in his success at Coates E & I. Shawn began as an apprentice electrician in 1994 digging ditches with Jason Coates. In 1996, he and Jason built & created the residential strategy for the business wiring hundreds of homes by the years end. Shawn believes it is a waste of resources to fish for trout when you�re best at catching whale. In 1999 , he obtained his Journeyman Electrician License and began project management on various government sites and commercial projects. Shawn built up the multi-million dollar material procurement and logistics systems for Coates E & I. He was promoted to Commercial Superintendent and supervised several Project Managers to handle the ever growing workload. 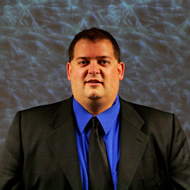 Shawn succeeded Jason as Vice President of Operations and in 2006 was promoted to Senior Vice-President of Commercial & Industrial Operations and Chief Analytical Officer. Shawn is an invaluable resource to Coates E & I and our customers. Shawn enjoys spending time with his family, golfing and hunting geese. 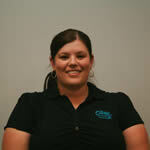 Sara McLaughlin started working at Coates Electrical & Instrumentation Inc. in 1996, while she was still in High School. She began her career dumping trash cans and cleaning the office. She later graduated from Bonneville High School and obtained her Degree from Weber State University. While in high school, she began working in the office performing data entry work and filing. In 2001, after mastering AP�s, AR�s, Payroll, and Human Resources she was promoted to Office Manager. Sara�s financial skills and �cheery attitude� paved the way for her promotion to C.F.O. in 2006. 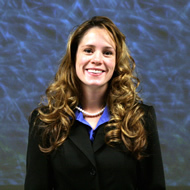 Sara is responsible for all of the holdings, corporate documentation of the various companies of our organization. She is an intricate part of the success of our corporation. She enjoys spending time with her family, camping, hunting and reading a good book. Travis Coates began working as our first apprentice electrician in 1998, under the U.S. Bureau of Apprentice program (BAT). At sixteen years old, he was installing electrical, data, and instrumentation equipment in classified industrial facilities. Travis�s mechanical & reasoning skills immediately identified him as an excellent fleet manager. He began solving the logistics problems of operating a multi-state fleet of trucks & equipment. By the time he was twenty-one, Travis, (nicknamed �Chubby� despite his 115 lb frame), was managing several million dollars of trucks, heavy equipment, inventory, and building structures of the corporation. He likes to fade into the background and �Just make it Happen�, his motto is: �Rubber side down Shiny side up.� He was promoted to Chief Risk Officer in 2007, and is responsible for all of the physical assets of Coates Electrical & Instrumentation Inc.., if you see it on the job, it came through him. Chubby enjoys spending time with his family, movies at home, hot rods, dining out and just hanging out in his zipcode. 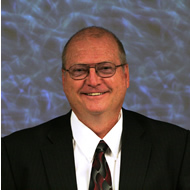 Tom Smith joined Coates Electrical & Instrumentation Inc. in 1997. He accomplished his journeyman electrician license in 1990. Tom has extensive experience in all aspects of the electrical & instrumentation field from commercial building to heavy industrial power and control. He started with CE&I as a Foreman, he was promoted in 2000 to Commercial Superintendent. Currently Tom has been a Project Manager since 2006. Tom has a no fail attitude and has never missed a deadline or a budget. There has never been a challenge Tom has not risen to since being with CE&I. Tom can be described in one word, �workaholic�. His endless support for the CE&I team is unsurpassable as is his relentless pursuit of excellence. In his spare time, which isn�t much, Tom enjoys fishing, golfing, snowmobiling and spending time with his family. Tim Lueders began working at Coates Electrical & Instrumentation Inc. in 1999, where he began his apprenticeship through The Bureau of Apprentice Training (BAT). At seventeen years old he was performing electrical work, digging ditches and stripping (A LOT) of wire. He has worked with our fleet, purchasing, receivables, managing inventory, personnel and small projects. He also has managed tools, safety, logistics and expediting. As you can tell he has successfully worked in any capacity the company has ever asked. He has a whatever it takes to (Gitt�er Done) attitude. Tim enjoys spending time with his wife and family. He also enjoys hunting, sports, golf, and camping whenever we let him. 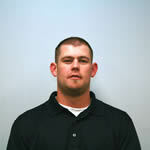 Brandon joined the Coates Electrical and Instrumentation Inc team in 1998. He attained his journeyman electrician license in 1999. He started as a foreman working on churches, schools and various commercial projects. As CE&I grew, Brandon began supervising heavy industrial jobs. In 2006 he was promoted to Project Manager supervising numerous industrial projects. Brandon's attitude is we will get it done anytime, anywhere. Brandon hates 98% he expects completion of every project started no matter the size. When not working out of state he enjoys spending time with his family, working around his house, camping, hunting, riding four wheeler�s, or just being outside. 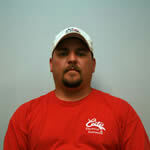 Billy began at Coates Electrical & Instrumentation Inc. in 1998. He received his electrical journeyman�s license in 2004. He is presently a mutli-state Journeyman Electrician. Billy has built several commercial projects for our customers, including schools, office complexes, grocery stores, churches, and theaters, just to name a few. He is a valuable asset to the commercial side of CE&I. Billy is currently a project foreman at CE&I. He enjoys fast paced work and the many challenges that come with the electrical trade. When he�s not at work he enjoys spending time with his son, going to the gym, hunting and fishing. Jay joined Coates Electrical and Instrumentation Inc. in April of 2004, bringing his experience in communications and fiber optics. He started with the company to complement our communications & structured cabling services. He has training and certifications from Hubbell® premise wiring, Leviton®, CCI®, Commscope®, and is also certified in Corning® fiber optics. 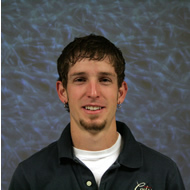 Since starting at CE&I, Jay has added electrical, instrumentation and service work to his ever growing list of skills. Jay has proven to be a valuable addition to the CE&I. He excels in building and maintaining customer relations. In his free time Jay likes to spend time with his wife and kids camping, fishing, boating, and riding his four wheelers or anything that involves being outdoors. Theron Palmer started in the electrical trade in 1974. After serving in the Navy he began lineman training, and attained his journeyman status in 1980. Later that year he was promoted to general superintendent. His extensive project experience includes, industrial plants, powerhouses, mining, transmission power lines and water / sewer treatment plants. He has worked with numerous clients over the years, including Western Area Power Administration (WAPA), Bonneville Power Administration, Beatty Gold, Newmont Gold, Crescent Valley Gold, Dugway Proving Grounds, numerous water/sewer treatment plants, schools, hospitals, refinery�s, & grain mills. His experience ranges in voltages from 24 volts to 500 KV. 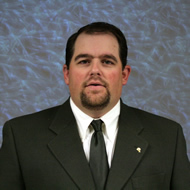 Theron is a Superintendant for Coates Electrical & Instrumentation Inc. He has managed large crews on, turn-arounds, maintenance, instrumentation, and capital projects in refineries. He provides reliable, safe, on time projects that exceed our client�s expectations. 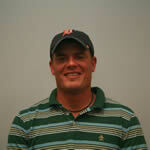 Theron enjoys four wheeling, baseball games with his son and fishing. Jill Lueders employment began in 2004 at Coates Electrical & Instrumentation Inc. She began working as the receptionist and performing accounts payable duties. She later moved to the accounts receivable department. In 2008, Jill was promoted to the Office Manager position. Jill is responsible for the day to day operations of the central office and coordinating all project office personnel and their responsibilities. Jill has created CE&I�s Audio Visual productions. Jill�s attentiveness to finite detail along with her personal touch makes her an integral part of our corporate structure. She enjoys spending time with her family, golfing, reading and camping. Dee started working for Coates Electrical & Instrumentation, Inc in 1999. He first started working in commercial services. He completed projects including churches, grocery stores and schools. In the year 2000 he began working at Dugway Proving Grounds on a Chemical Munitions Disposal Program. He later started supervising commercial projects for the next few years. In 2002, Dee attained his journeyman electrician license. In 2006, he supervised the upgrade of all pump stations at Great Salt Lake Mineral Corporation, installing standalone PLC�s. Currently he is field supervisor for CE&I. 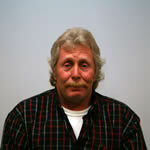 Dee likes to spend his free time with his wife and family, hunting, fishing, riding motorcycles and snowmobiles. 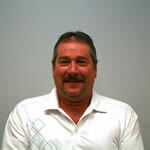 Steve began his career in 1979 in an industrial processing plant as an operator. In 1985 he entered the electrical and instrumentation field where he was mentored by Scott Coates. Under Scott�s direction he worked as an E&I technician and later attained supervisory roles. 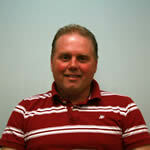 Steve assumed the roles of E&I supervisor and construction project manager at GSL Minerals. 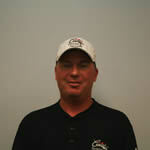 Steve joined the CE&I team in 1999, he holds an electrical journeyman license in multiple states. He has advanced skills in motor controls, instrumentation, system integration, process controls and power. He has experience in construction, maintenance, startup & commissioning in surface mining, oil refineries, natural gas processing plants, nuclear waste facilities and commercial construction. Steve recently was certified as an ITC Infrared Thermographer. Steve enjoys camping, spending time with his wife and kids. He plans to start skiing again assuming his body will hold up. You can always find Steve in March at the Las Vegas Nascar races.